With so many users often needing access to your system for different reasons, being able to define roles and permissions can be crucial for protecting valuable content. Within Cantemo Portal™, you can set specific user rights for each item in the system. This can include hiding an item altogether from a given user or group, or it can be specifying amount of access, such as read-only or full access, for example. You can define different user groups within Portal and apply access controls as described above. For example, you may want to ensure that the sales department only sees the final approved media content, with the work in progress media and projects only accessible by the post-production team. If you grant access to customers, you will of course only want them to see their own finished products. 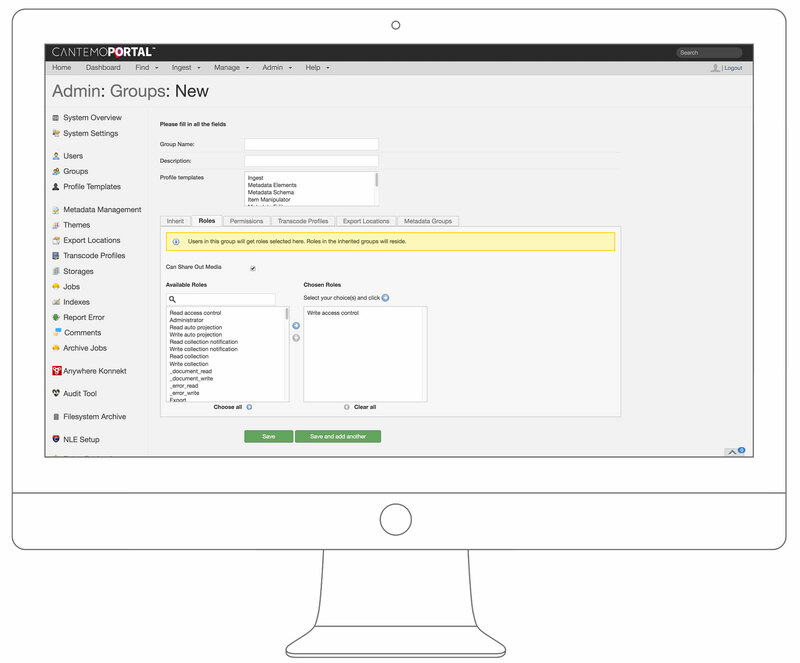 Users belonging to multiple groups will get a merged access of all groups to which they belong. 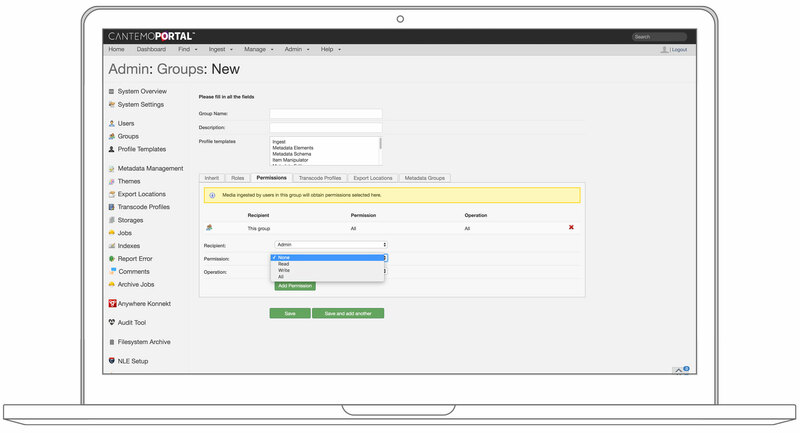 Customers can build complex permission structures within Portal. By setting up sub groups and detailed Access Control Lists (ACLS), users can ensure exactly the right people have the right level of access to each piece of content within the library. It is also possible to establish detailed pre-defined access controls for incoming media based on metadata. Specific types of files, or files at specific stages in the workflow will be accessible only by those pre-defined groups and permissions.